HUstart, the Hebrew University Entrepreneurship Center, which fosters innovation among students and researchers, announced today the appointment of Dr. Amnon Dekel as Managing Director. Dr. Dekel will spearhead HUstart’s national and international programs, transforming the center into a major influencer in the Jerusalem ecosystem and beyond. The new leadership will develop tools that integrate the concepts of ideation and entrepreneurship into the academic fiber of the University. Through academic courses and exploratory workshops and labs, the center will create opportunities for a greater cross-section of HUJI students and faculty to develop ideas that they can turn into practical models of innovation. As part of the strategy to establish Hebrew University and Jerusalem as a nexus of research and commercial opportunity, Dekel will foster new collaborations with Jerusalem institutions from various sectors and communities, including other academic institutions, industry leaders, government, the IDF, and the vast Hebrew University network. Dr. Dekel holds a Ph.D. from the Rachel and Selim Benin School of Computer Science and Engineering at the Hebrew University of Jerusalem and was recently Chairman of the Department of Software Engineering at the Shenkar School of Engineering and Design. He has founded three companies, serves as an advisor and mentor to several startups, lectures and teaches widely, and is the author of numerous papers. 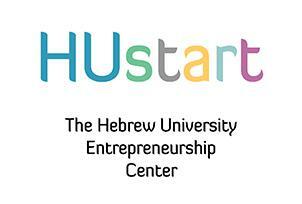 HUstart also appointed Ayelet Cohen as Deputy Director. Cohen brings experience in building strategic innovation and entrepreneur projects and platforms. She previously worked at Startup Nation Central, and co-founded Google Educators Groups in Israel. She has also worked with the Jerusalem Development Authority and Siftech. In these roles, she identified challenges in the Jerusalem ecosystem to find solutions and develop strategies to advance the hi-tech environment in Jerusalem, and build communities to reach these goals.